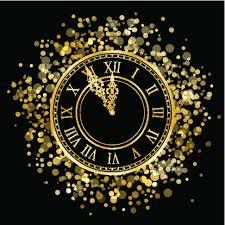 As you ring in the New Year I hope something sparkly comes your way. We love the excitement that comes the first week in January as we begin to hear from our couples that are newly engaged. 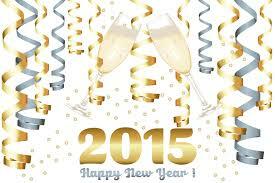 We’ll be celebrating with friends and family to end 2014 and welcome in 2015 full of hope. Let the countdown begin! I am sure there are many excited couples out there that are newly engaged after the holidays with more to follow in the coming weeks. There are so many wonderful parts of planning your wedding day, but I wanted to give a few pointers on what will make your wedding run smoothly as well as making it enjoyable for you and your guests. need vs. a want. There are many extras that are not necessary, but other items you really should not skimp on. I am told often that hiring me was a couple’s best decision. You need someone who knows the ins and outs of planning a wedding. Be sure you connect with them and are confident they can take care of the numerous details ahead. 2. We can’t assign seating for you since we do not know your family and friend associations with one another. There really is not a right or wrong answer whether or not you should assign seating at all. It is your preference. What I do encourage is that you at least reserve bridal party and family tables since they are usually socializing and don’t think about their seats. If you have a family members with 6-8 people in attendance, be sure you have a table for them so they are not upset when they can’t sit together at one table. 3. Font styles may seem very unimportant, but people need to be able to read your invitations, menus and their seating cards. Choose a large enough size so that it is not too small to read and don’t make it too swirly that they can’t tell a T from and S or F.
4. If you are watching your budget, consider an hors d’oeuvres cocktail style reception. You will not need to provide a meal for every guest, but be sure the invitation states “Cocktail Reception to Follow”. You can also have an afternoon event with lighter alcohol and food. You don’t need a really long event either. Having a 6:00pm ceremony, with cocktail hour and dinner followed by dancing can end at 10:30pm. You don’t have to dance until midnight. 5. Find a venue that fits not only your style, budget and location preference, but also the capacity. Do not rely on a formula of 70% or even 90% attending, be sure your venue can accommodate the number you are inviting. Austin is a huge draw for your guests to attend your wedding and if you invite them, they just may come even if they don’t attend many family events. You don’t want to be in the situation of not having the space for your final guest count. 6. This is the time for you and your fiance to start your lives together, so please don’t bicker over small things. Come to an agreement on things and compromise on what doesn’t really matter that much to you. If you really love a color scheme or certain touches then stick with those ideas. If your fiance really loves certain music, then do what you can to make that happen. Learn to compromise with one another. 7. Don’t let the stress get to you. A lot of emotions escalate during the planning. Share this with your planner to see if they can find a solution for you or at least help you to not feel isolated. We want your wedding to be wonderful and as stress-free as possible. I see a lot of tensions rise between couples, with their parents and with their bridal party. This too shall pass. Hang in there and enjoy this time. 8. Listen to the experts. We know the venues and what the best flow is for the guests regarding the setup. Isolating a band in a separate room will not work as well as having the guests in the main room with the music. We have experience with florists, musicians, bakeries, caterers, transportation, officiants, photographers, etc. We cannot recommend someone we have not worked with so while there are less expensive options out there that you may choose, we won’t be the one to recommend them until we know how they perform or deliver in product and services. 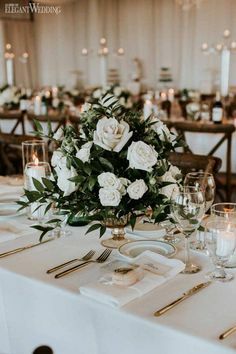 You are welcome to hire a less expensive option, but we have seen quite a few disappointed couples that hired a florist that skimped on the volume of flowers or the caterers with less than stellar food and service. 10. Be flexible in our wedding date. If you are planning short-term, consider a Friday or Sunday wedding. If you have your heart set on a spring or fall date, try to plan a year out or you may not have many Saturday options. Holiday weekends are still big wedding weekends, including Thanksgiving Saturday, Memorial Day and Labor Day weekend. I hope you are excited about your wedding and all that the coming months have in store for you. If you haven’t started pinning yet, create a wedding board for your style, stationery, and flowers. You can see many of our different boards http://www.pinterest.com/barbarasbrides/ with countless wedding ideas. We’ve been working with Austin brides and couples on their weddings for over 20 years and we’d love a chance to assist you whether as a full service planner, day of consultant or something in between. You know what you need and we can bring it all together for you. Christmas in Austin is such a wonderful thing with so many different ways to celebrate the season. I love when it is chilly so we can have a fire, but everyone year I hope for snow like South Texas received several years ago. Opening gifts, watching holiday movies and enjoying delicious food while in our cozy clothes is our favorite thing to do. It is that time of year when so many excited ladies will receive a sparkly token of love from their honey. I think it is the most romantic time to propose. You already have the built in excitement of the holidays, the weather is perfect for a cozy fire or a walk to look at the abundance of colorful lights. I hear from couples that have only been engaged since Thanksgiving or Christmas Eve. The excitement is hard to contain. Where do you begin? Contact an Austin wedding planner and start the research in finding the perfect wedding venue. We do have events through this weekend, so feel free to send us an e-mail or call to see if we can assist you with your wedding. This is such a beautiful time of year for many reasons and tonight Hanukkah begins. 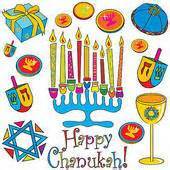 To all our past and future Jewish couples we wish you many continued blessings.